BetterYouTM Boost B12 Oral Spray delivers 1200mcg of B12 along with 100% of your recommended amount of chromium. 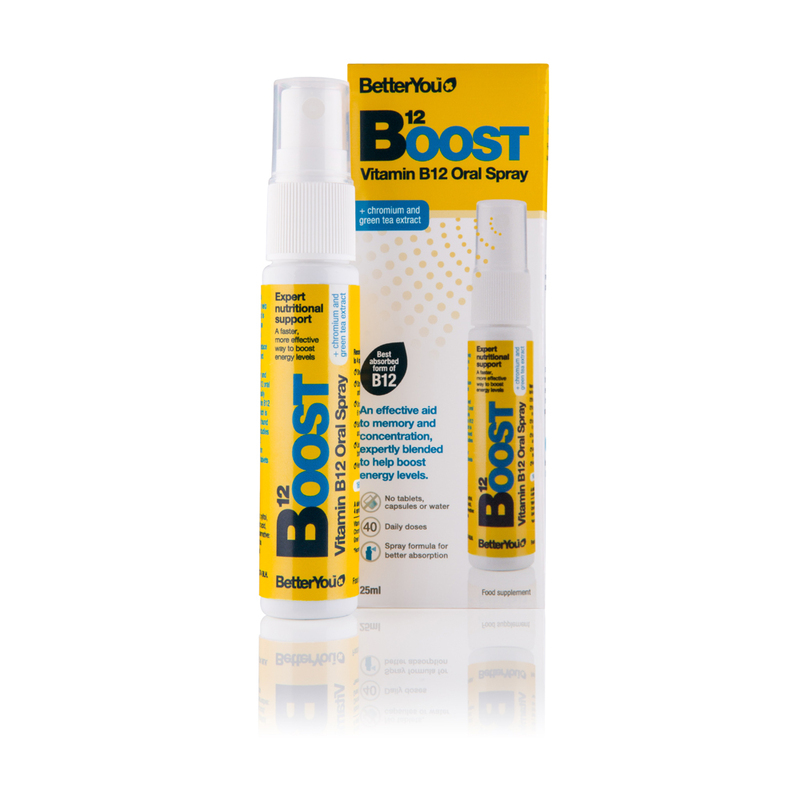 BetterYouTM Boost B12 Oral Spray uses the most bio available form of B12 (Methylcobalamin), which is a naturally active form found within human metabolism meaning it is processed faster by the body than most other forms found in supplements. Scientifically proven superior absorption to traditional tablets and capsules. The formulation is delivered directly into the mouth, quickly entering the bloodstream for the ultimate in bio-availability and convenience.